Every once in a while an athlete comes along and alters a franchise or even an entire sport. These athletes are few and far between. They put up Hall of Fame worthy statistics, achieve feats that are rarely seen and propel their team into the playoffs year after year. Perhaps equally special to what they accomplish on the playing field is the bond they form with the fans and the way they embody the sport they play. These are the athletes who are engraved into our memory for a long time after they retire. It’s players like Michael Jordan, Joe Montana, Wayne Gretzky and Ken Griffey Jr. who are fondly remembered by anyone who watched them play. While this level of superstardom is rare, each generation of fans and each city has a handful of players that they regard in this elite territory. For Miami, the legends include the likes of Dolphins longtime players such as Dan Marino, Jason Taylor and Larry Csonka. Marino and Taylor will always be remembered for their lengthy careers in Miami as elite talents at their respective positions, while Csonka will forever be tied to the 1972 Dolphins, who are the only team in NFL history to finish the season undefeated and win a Super Bowl. This past week, the career of another Miami great came to an end as Dwyane Wade retired from the Heat. Wade, who has spent the better part of the 21st century on the court for the Heat, has been able to both enjoy a lengthy career here in South Florida while also delivering championships to the city of Miami. In fact, Wade has won more championships for a Miami team than any other professional athlete who has called South Florida home. Wade officially played his final game as a member of the Heat on Wednesday, but on Tuesday night, he played his last home game at American Airlines Arena. It was quite the spectacle to see his last game in Miami. The ceremonies were truly incredible, ranging from a message from former United States President Barack Obama to Dwyane’s son, Zaire, introducing him in the starting lineup to a number of celebrities sitting courtside to watch him play. Wade has truly had a special career in the city of Miami, not only for what he did on the court, but also everything he did in the community. There are countless stories of his contributions and interactions with the residents of “Miami-Wade County,” and the joy he brought to South Florida was never more evident than Tuesday night’s game. Seeing the crowd’s reaction to all of the pre-game festivities and their eruption every time Wade touched the ball, also reminded me of a few moments here at Homestead-Miami Speedway. Much like American Airlines Arena hosted Wade’s final home game, we have been the site of the final race for many of NASCAR’s most respected and well-regarded drivers over the last few years. From 2015-17, Jeff Gordon, Tony Stewart and Dale Earnhardt Jr. said their final goodbyes to racing here at the Speedway. Just like Wade’s last game in Miami, we have been sure to give these drivers the proper sendoff they deserve. Through pre-race ceremonies, parade laps and other festivities, we really saw what all of these drivers meant to the sport as the crowd here showed their appreciation. Although the celebrations of their careers were similar, each driver meant something different to the industry. Stewart was known more for his tenacity on the racetrack and his blue-collar style that often reminded fans of legendary drivers like Richard Petty and Dale Earnhardt Sr. He used his style to become one of NASCAR’s all-time greats, winning three championships here at Homestead-Miami Speedway in 2002, 2005 and 2011. Earnhardt Jr. may not have reached the same level of success as Gordon and Stewart, but his retirement resonated with fans just as much. The son of Dale Earnhardt Sr., he was named the Cup series most popular driver 15 times, trailing only Bill Elliott for most all time. Earnhardt really personified the sport and its fans, understanding his influence and connecting with fans, giving them something to root for each week. The final races at Homestead-Miami Speedway for these three aforementioned drivers were some of the most iconic moments I’ve been a part of, and Wade’s last game in Miami matched that nostalgic feeling. As one of the best players to ever put on a Miami Heat jersey, Wade provided South Florida with many memories that will live on after his playing days and a legacy that will last forever. 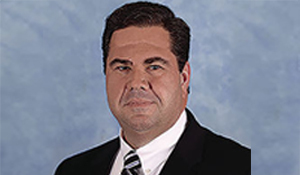 Matt Becherer is President of Homestead-Miami Speedway. This long-time motorsports executive is one of the good guys, and he leads a team of 40 that operate the track. If you would like to talk to Matt, he can be reached at chatwithmatt @homesteadmiamispeedway.com.